Patrolman Theodore Uzdilla was fatally struck by a school bus carrying a high school band to a football game while directing traffic at the intersection of Sans Souci Parkway and Dundee Cross Road. Patrolman Uzdilla, who was working an overtime detail for the department after it was requested by a new supermarket for officers to direct traffic at the intersection on certain days of the week. He had stopped northbound traffic so a vehicle traveling south could make a left turn into the supermarket. As he was directing the vehicle into the supermarket a school bus traveling north in a passing lane struck the vehicle in the middle of the intersection before striking Patrolman Uzdilla. Patrolman Uzdilla was taken to Mercy Hospital where he was pronounced dead on arrival. The driver of the school bus, who was not qualified to drive it, was found guilty of negligence by a coroner's jury. The first involuntary manslaughter trial in April 1960 ended in a mistrial. 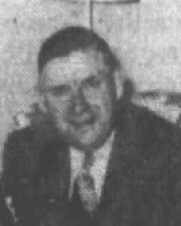 The subject pleaded guilty to involuntary manslaughter at a second trial in June 1960 and ordered to pay prosecution costs. Patrolman Theodore Uzdilla had served with the Hanover Township Police Department for 20 years. He was survived by his wife, son, and two daughters. six grandchildren, and siblings.